One of the longest serving local councillors in Ireland, Michael “Stroke” Fahy has passed away after decades serving the people of Galway. 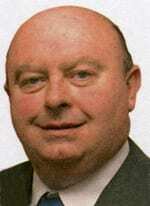 Michael Fahy was first elected to the county council in 1979, and was handily returned in every election since. He ran as a Fianna Fáil candidate until breaking away from the party to run as an independent in 2009 and 2014, though in recent months he had rejoined Fianna Fáil and planned to run on the part ticket again this year. Fahy’s long political career also included two unsuccessful runs for the Dáil in 1987 and in the last election. He passed away at Galway clinic on Tuesday evening. Galway TD Anne Rabbitte said that Michael Fahy “served the people of south Galway with distinction and pride”, adding that he was “a local legend in politics”. In 2007 Fahy was convicted of fraud and served several months in prison before his conviction was overturned, and eventually quashed completely by the Court of Criminal Appeal. Councillor Joe Byrne, who served alongside Fahy in the Loughrea municipal area, described him as a “legend” and a “true friend”. “A colleague in Galway Co Council for the past 5 years I first remember Michael meeting my father Toddie in 1979 before his first council election,” councillor Byrne said on facebook. Byrne added that Michael Fahy “Served the people of South Galway with distinction for 40 years”. He was one of four candidates selected by Fianna Fáil to run in the Gort/Kinvara area next month.